I am so fortunate to meet some amazing people with this platform we lovingly call “From Founder To CEO.” Derek Tye is one of those amazing people. His creativity, determination, commitment to family and his wife and keen business acumen all combine into one really awesome person. His startup, How Did He Know, is pretty ingenuous. 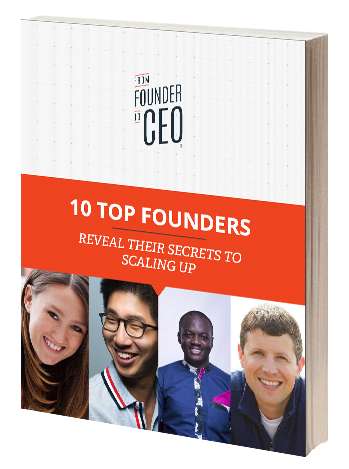 And, his personal insights about the transition from Founder to CEO are very insightful. Listen for yourself. Powerful Promise of Value: How Did He Know? (HDHK) is a revolutionary app that delivers daily, customized tips to help men become better husbands and partners—and reap the rewards that come from happy, fulfilling relationships.